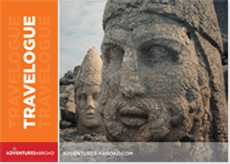 Greece land tours by Adventures Abroad: If you meander down any number of the winding streets on our Greece tours, you will encounter the past through the crumbling remnants of not one, but several ancient cultures. 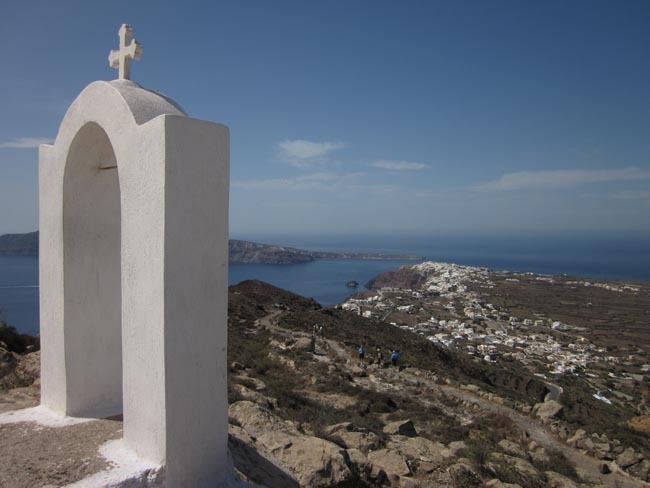 Situated in the southern end of the Balkans, bordering the Aegean, Ionian and Mediterranean Seas, Greece boasts 15,000kms of coastline complete with many stunning beaches in places such as Mykonos and Santorini. 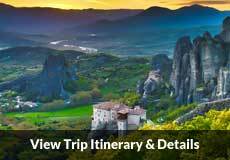 Beyond the sun drenched Mediterranean Greek Isles, lay the wooded valleys of the north, the craggy coast of the Peloponnese, the 2,917 metres peak of Mount Olympus, the deep Vikos Gorge, the sandstone pillars of Meteora and the countless oil groves in between. 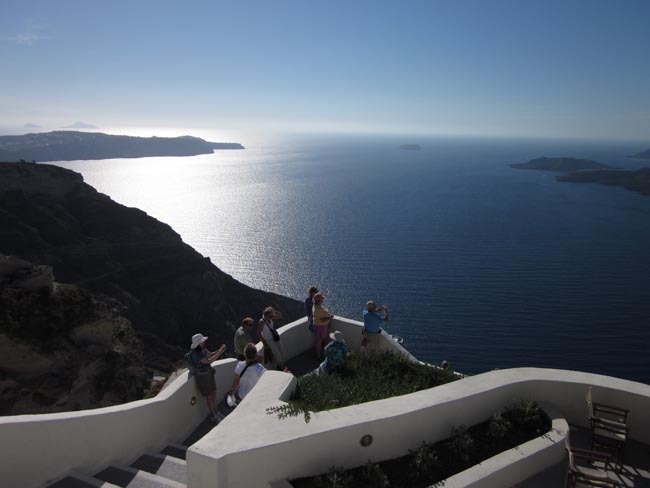 A true crossroads of cultures and civilizations, Greece sits between Europe, Asia and Africa. 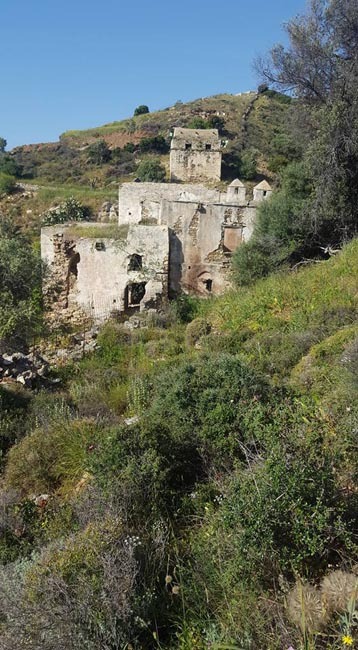 Following centuries of occupation by Romans, Arabs, Turks, the Byzantines and Latin invaders to name but a few, the landscape came to bear evidence of foreign influence, as each civilization that crossed the borders into Greece left its mark on Grecian society and countryside. 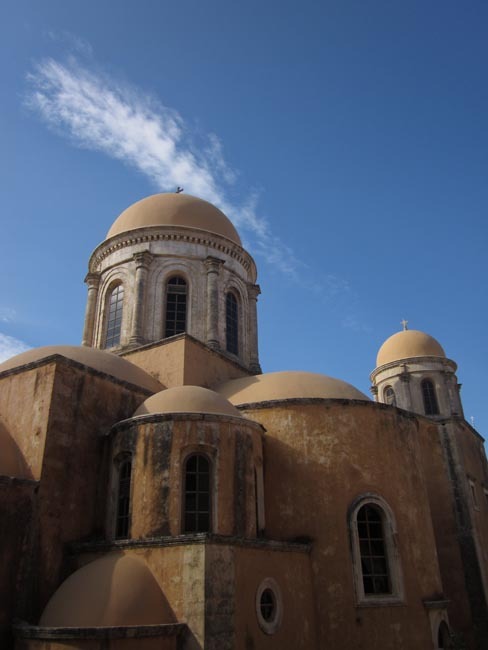 Mirroring the resolute strength of its people, magnificent Grecian monuments speak to the enduring nature of the country, its people and their way of life. Greece today is considered one of the most influential societies that has ever existed, the cradle of Western civilization, with the birthplace of democracy known to be in Athens, works of philosophy by Aristotle and Plato still holding relevance, as well as the historical origin of the Olympic games in Olympia still being practiced internationally in modern times. 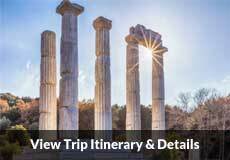 Ancient Greece land tours showcase a deeply spiritual world, wrapping mythology with temples dedicated for a variety of deities including the impressive Temple to Apollo in Delphi. 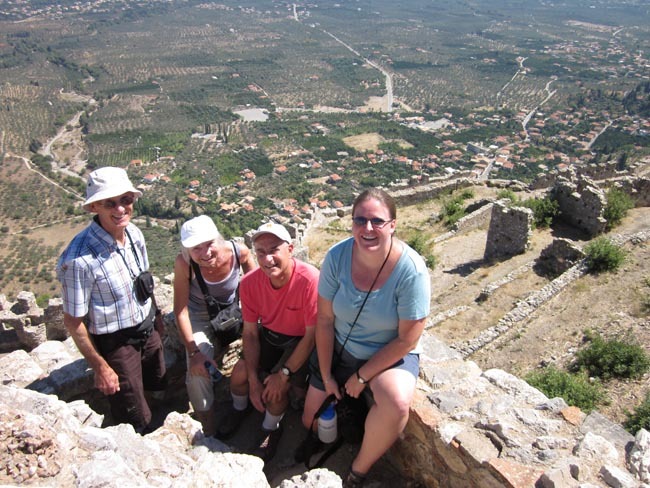 Superior in the arts, few places in the world offer a chance to see where the great works of Aeschylus, Sophocles, Euripides and Aristophanes were first performed like the 6th century BC Dionysos Theatre. 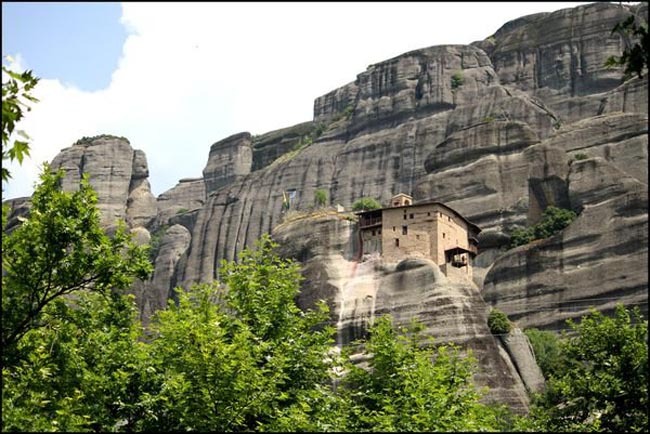 Greece in antiquity flourished in first city states such as intellectual Athens, brave Sparta or wealthy Delos, among others. The independent city-states spread out across the territory in a near constant feuding until being conquered and united under leaders such as Alexander the Great on his quest to create a massive empire reaching as far as the Indus Valley followed by the annexation by Rome in second century BC. The Roman and Byzantine Empires would be greatly influenced by Greek principals and were key to spreading its influence across Europe. 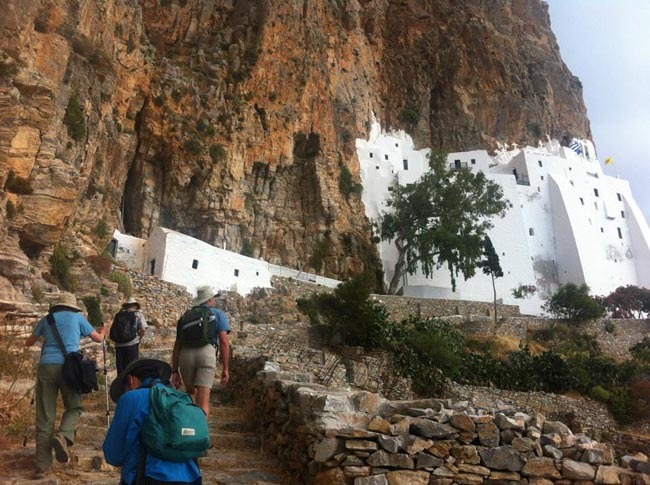 Rarely in Western Europe can one still find the rugged isolation of Greece. 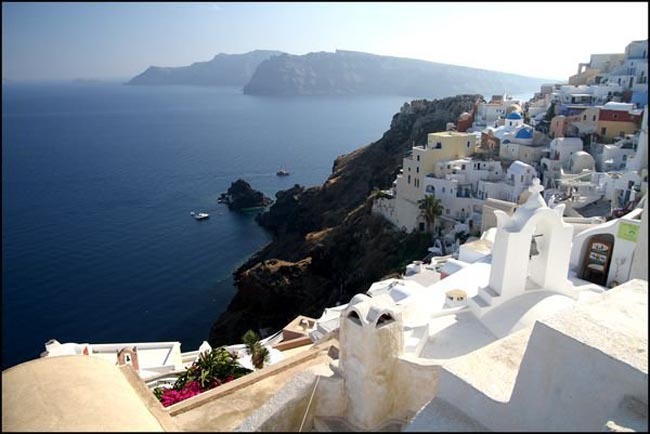 Cut off from the rest of the continent by its geography, Greece retains a character long ago lost in other locales in the Mediterranean basin. 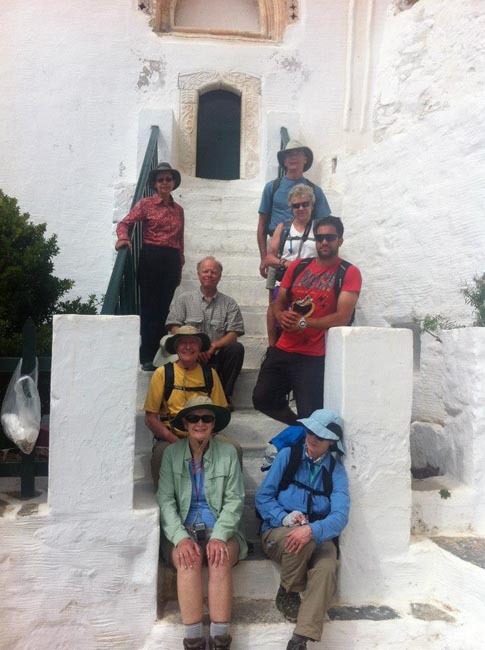 The venerable olive still forms the basis of village economic and social life. Residents still travel by donkey, recipes are passed from one generation to the next, unwritten stories and songs still enliven sultry summer evenings. Discover a country that is, though statistically small, huge in its diversity. Find a landscape that has given us thousands of postcard images but whose essence remains intriguingly impossible to capture. Greece is a country of beautiful contradictions, a constant journey in time from the present to the past and back again. 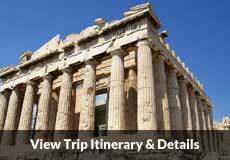 A tour to the southern European country of Greece is a tour that is a reminiscent meander down the winding streets of the past and through the crumbling remnants of not one, but rather of several ancient cultures. 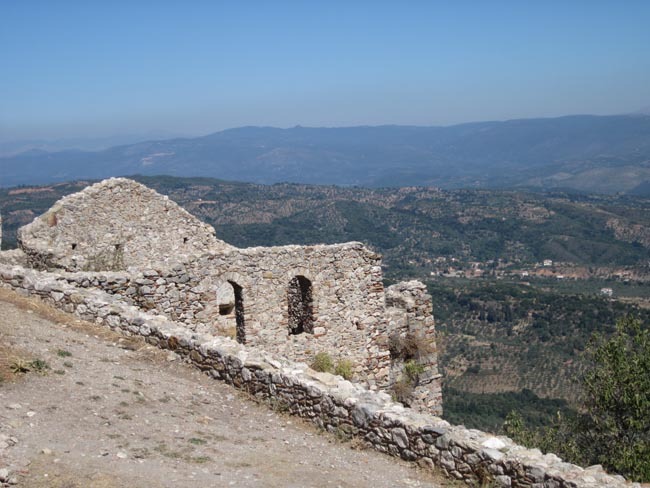 Following centuries of occupation by Romans, Arabs, Turks, the Byzantines and Latin invaders to name but a few, the landscape came to bear evidence of foreign influence, as each civilization that crossed the borders into Greece left its mark on Grecian society and countryside. Mirroring the resolute strength of its people in managing to cling to their sense of identity and culture through the ages of foreign incursion, magnificent Grecian monuments stand proud amid the relics of foreign structures and speak to the enduring nature of the country, its people and their way of life. While it is remarkable in itself that the Grecian civilization retained any semblance of identity in the face of so many influential and diverse forces, what is even more so is that today, Greece is considered the cradle of Western civilization--as the birthplace of democracy, mainstay of philosophy and origin of the Olympic games--and as one of the most influential societies that has ever existed. 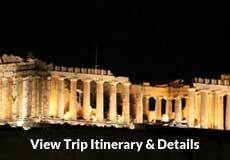 One of the most popular and arguably the most spectacular Grecian tour sites is the Acropolis at Athens. 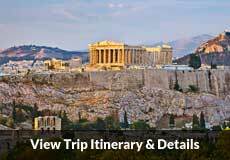 Constructed in the 5th century BC, the structures atop the Acropolis hill are a series of ancient temples, the most impressive of which is the towering marvel of masterpiece design known as the Parthenon: no visit to Greece would be complete without a tour of this pinnacle of Grecian architecture. Other sites worth seeing while touring Greece include the Temple of Poseidon, the Minoan Palace of Knossos, the island of Delos and, on a smaller scale but no less fascinating, are the selection of antiquities on display at the National Architecture Museum in Athens, not to mention the plethora of Byzantine churches and monasteries, and Venetian, Turkish and Frankish castles. Like its man-made scenery, so too is the natural Greece landscape a sight to behold: at 2,917 metres, Mount Olympus is the highest peak in Greece and with its awe-inspiring majesty, it is understandable that is was once considered the throne of the gods, and the Vikos Gorge in the northwest of Greece is claimed to be the second largest gorge in the world, the largest being the Grand Canyon. 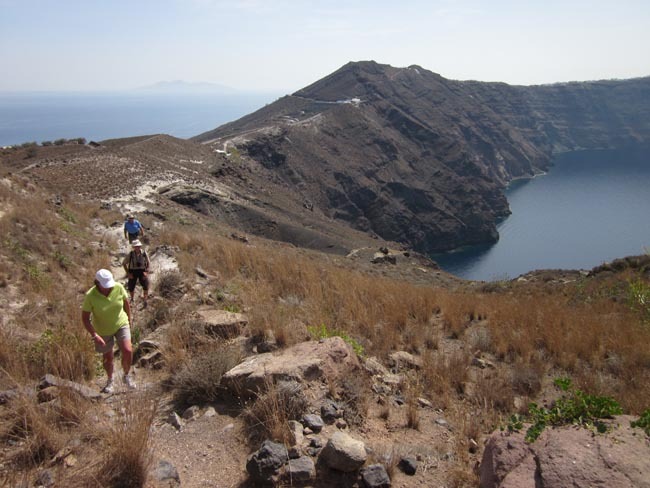 Bordering the Aegean, Ionian and Mediterranean Seas, Greece is a prime location for travellers looking to spend time on a beach or get their feet wet. 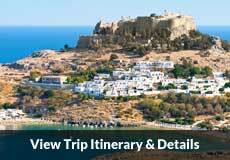 With its 15,000kms of coastline, beach-goers and watersport enthusiasts alike will be reluctant to leave Greece at the end of a tour; where one may find blissful contentment basking on one of the many stunning white sand Greece beaches, the other will be hard pushed deciding which activity to indulge in-jet-skiing, sea kayaking, parasailing, surfing, windsurfing, yachting and fishing are but a few of the multitude on offer in Greece. 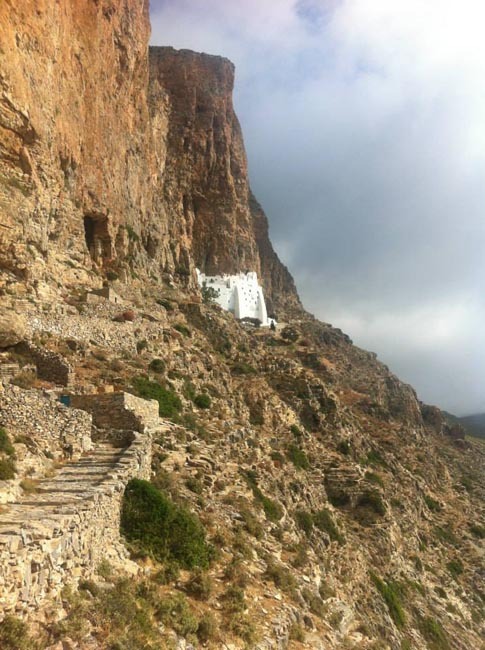 Rarely in Western Europe can one still find the rugged isolation of Greece. 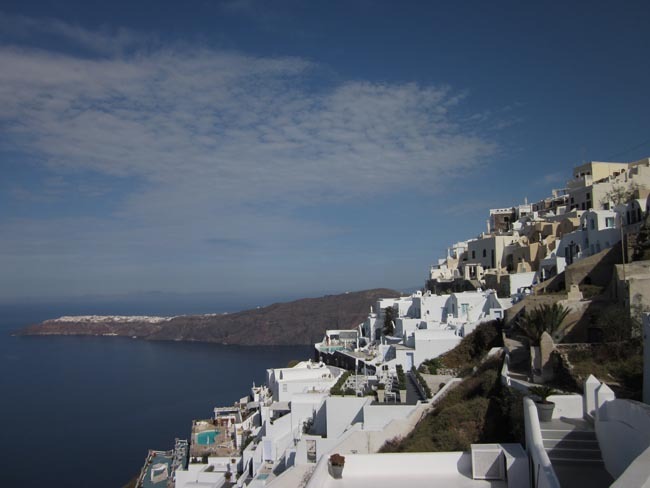 Cut off from the rest of the continent by its geography, Greece retains a character long ago lost in other locales in the Mediterranean basin. 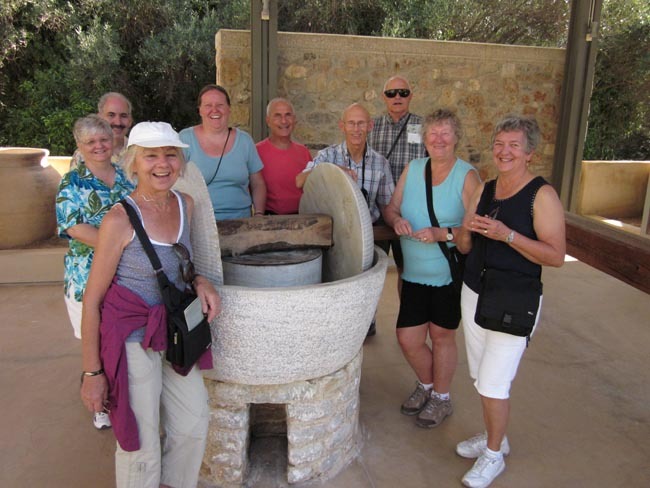 The venerable olive still forms the basis of village economic and social life. Residents still travel by donkey, recipes are passed from one generation to the next, unwritten stories and songs still enliven sultry summer evenings. 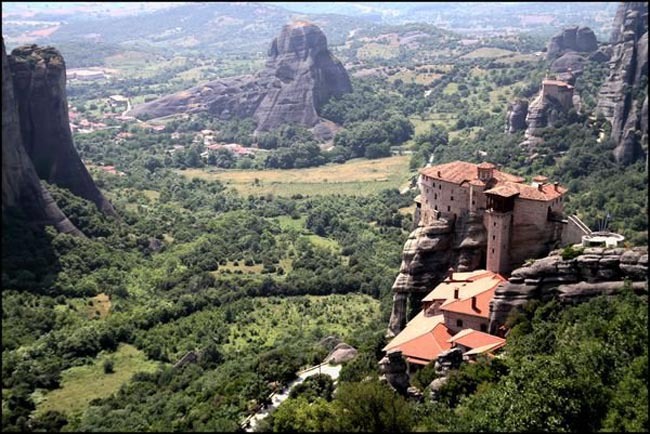 Whether it is the wooded valleys of the north, the craggy coast of the Peloponnese, or the sun drenched pocket beaches of the islands, the timeless appeal of this mythical land has attracted visitors for centuries. Urgency is unknown in this culture and time means little in a place where fellowship counts more than something so menial as work. A land so blessed and hence so plundered throughout antiquity gives of itself grudgingly; to spend time here is to get to know the people and the land that forms the heart and soul of this special place. Our Classical and Isles series continue to be one of our most popular offerings. 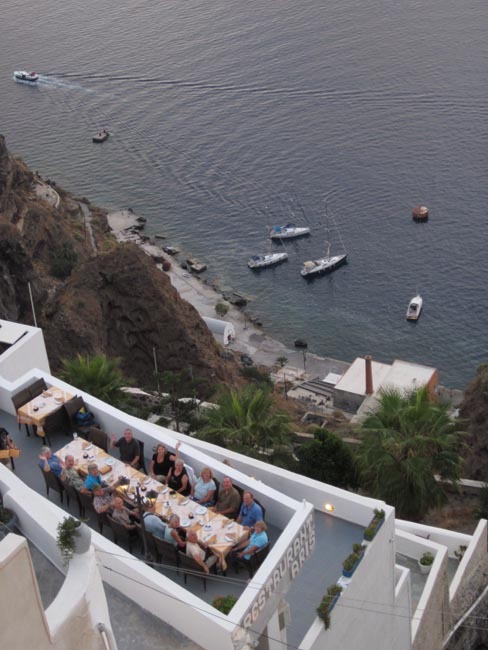 We attribute this to a tremendous number of referrals from past participants, and the fact that this is not a cruise--we travel by bus and scheduled ferry and spend three nights on each island with a perfect balance of organized activities and free time to soak it all up. 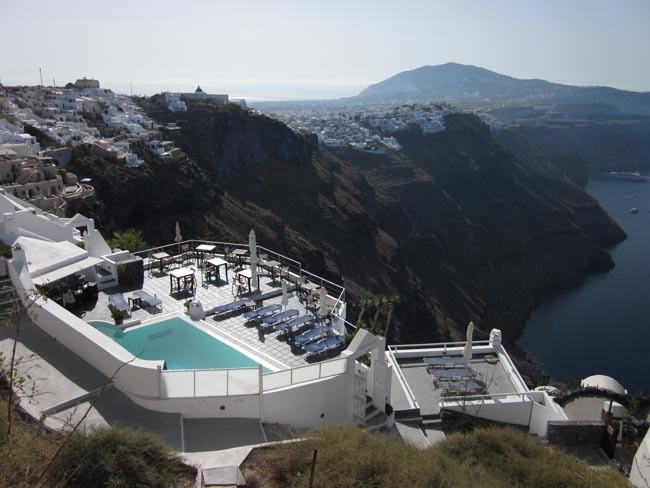 And of course romantic, sun-drenched, and timeless Greece always does a very good job of just selling itself. 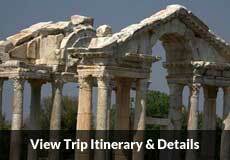 Our Greece land tours range from 9 to 20 days; departures in spring, summer and fall. 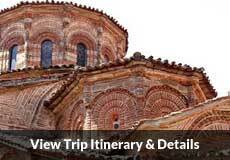 Travel to Greece and stand at an incredible crossroads of cultures and civilizations. 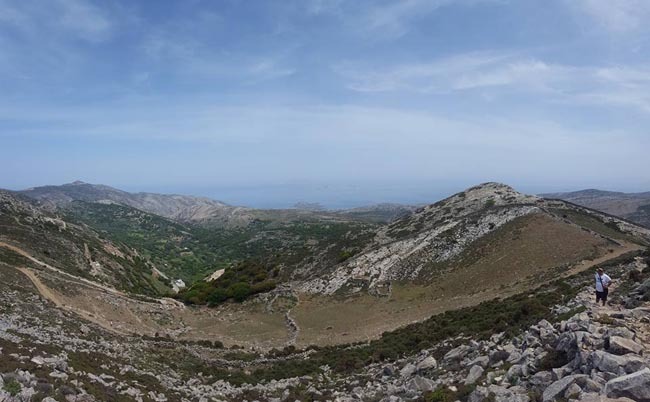 Feel the strength of history and the warmth of being in the southernmost part of Europe, and discover an evolutionary process of thought, influence and experience. 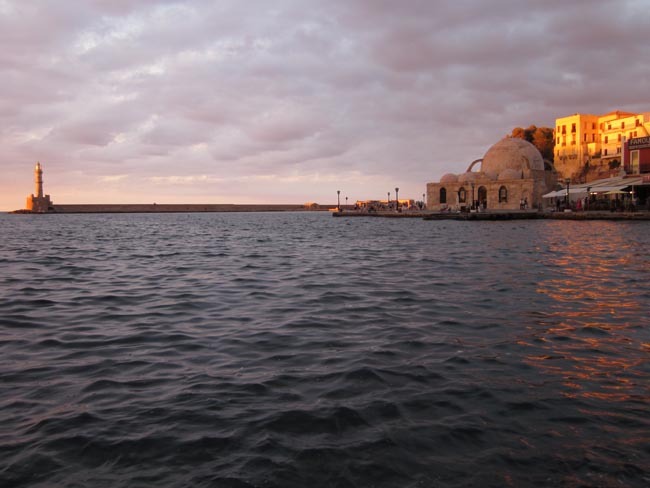 Discover a country that is, though statistically small, huge in its diversity. Find a landscape that has given us thousands of postcard images but whose essence remains intriguingly impossible to capture. Greece is a country of beautiful contradictions, a constant journey in time from the present to the past and back again. 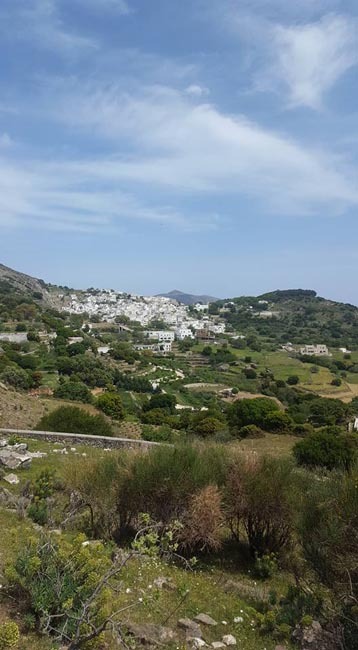 Move to clusters of sparsely inhabited islands; roam from beach to mountain peak; walk through olive groves and ancient sites. 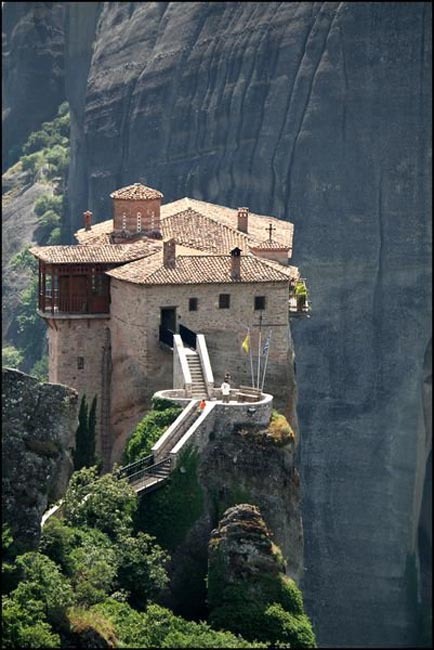 In Greece the fusion of such images transcends mere imagery and becomes reality. 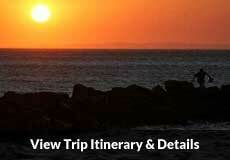 Our Classical and Isles tours continue to be some of our most popular offerings anywhere. 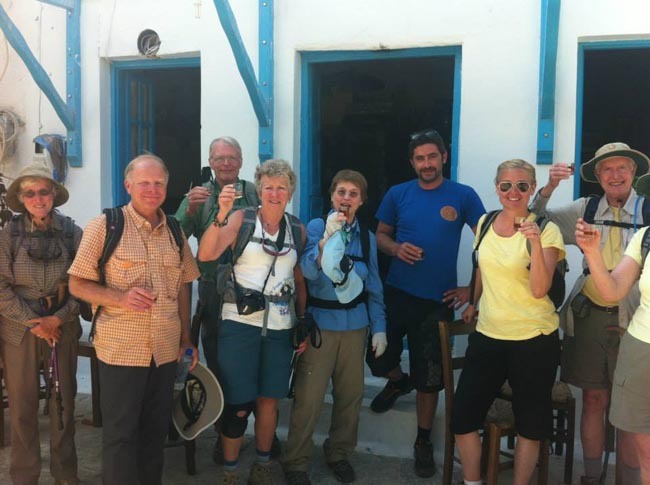 We attribute this to a tremendous number of referrals from past participants and the fact that our Greece land tours are not cruises--we travel by scheduled ferry and spend three nights on each island with a perfect balance of organized activities and free time to soak it all up. And of course romantic, sun-drenched, timeless Greece always does a very good job of just selling itself. 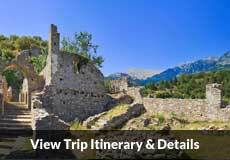 Cultural, family and hiking tours from nine to 20 days; departures in spring, summer, and fall.